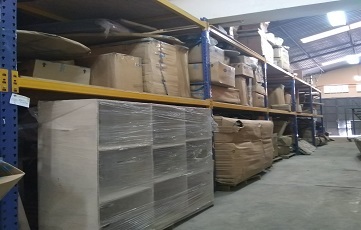 We offer commercial and personal warehousing for certain types of merchandise, usually low value or bespoke stock. Here we maintain clean, open stock records and you can collect your goods at your own convenience. Our warehouses are highly secure with 24 hour surveillance.